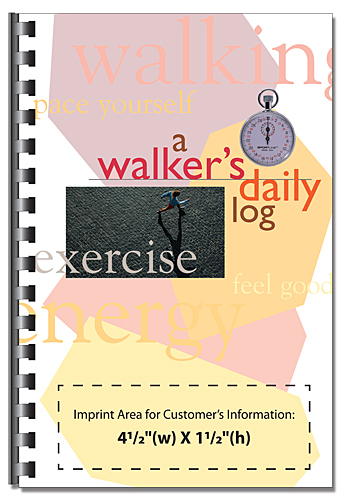 Track your excercise & nutrition with this personal trainer log book. Great item for any health or fitness promotion. A motivational diary for recording your daily exercise, fat and calorie intake--can help anyone walk themselves into shape.